My heart goes out to Joan's family and friends. I am sad that I did not have a chance to meet her in person, but I treasured our on-line friendship. 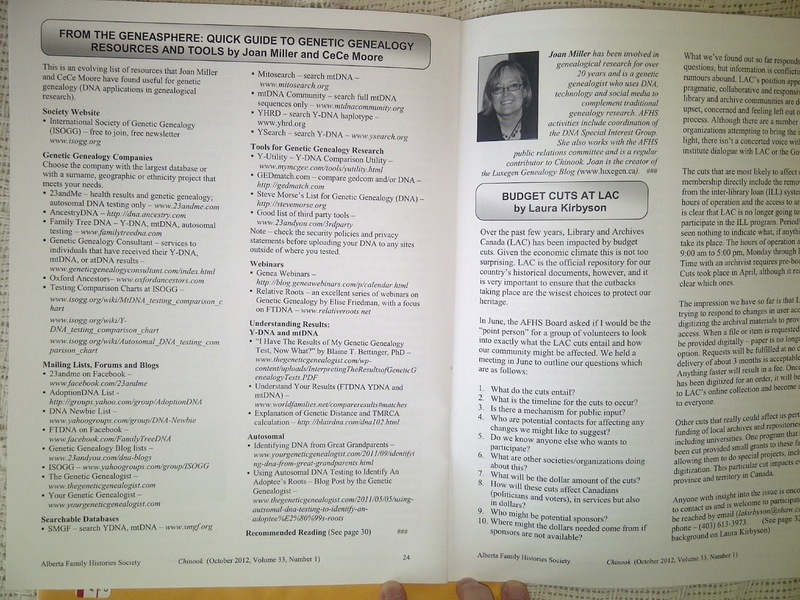 Joan was immensely helpful and supportive when I set up the Genealogists for Families project. She was my co-captain on the project's Kiva team, and she was also the first person to contribute a 'Meet the Team' profile for the blog. She will be missed, but her legacy will live on. Such a wonderful tribute to a wonderful woman. Joan will be missed! Wonderful tribute. 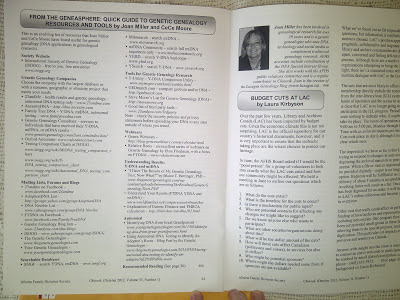 I did not know Joan but subscribed to her blog. I learned alot from reading it over the last year or two. I wish her family and friends heartfelt wishes and the comfort that comes with time. Wonderful tribute CeCe! I am so saddened by our loss. Simply beautiful. 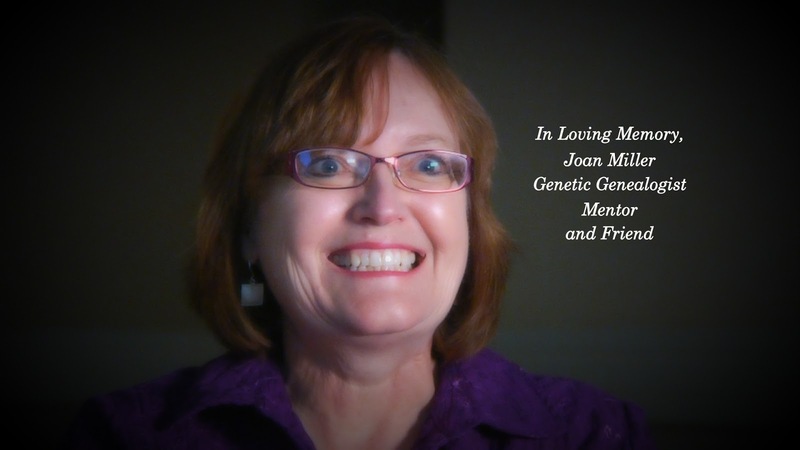 I know of Joan through social media, and the Genealogists for Families Kiva group, but I can she made a big impact on many, many people, and her loss is going to be felt for a long time. Joan is a member of our family - married to our cousin Reg. As everyone who marries into the "Aumack family" soon finds out - you become part of us whether you wish to or not. We insist! We loved Joan dearly - her & Reg were at every family function - homecoming, wedding, and alas, even funerals & she was as important to us as Reg was. Thanks to her, we have a family history which she did all herself. The rest of us, were tremendously interested in our heritage but too lazy to do anything about it. We are so sad that you had to leave us, much to early. And it is wonderful to say - that what we have are great memories. Our family has another angel in our midst. 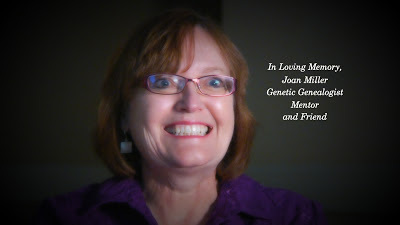 Thank you for sharing your thoughts with Joan's friends here. As you know, you are very lucky to be able to call her a family member. Thank you also to your family for sharing her with all of us - her online and genealogy friends. I hope that someone in your family will pick up the family historian torch that Joan is now so lovingly passing on. Please accept and pass on my condolences to your entire family. Beautifully written. Thank you for sharing this loving tribute. Joan will be deeply missed. What a great tribute! Very beautiful! We will all miss Joan. I will remember her family in my prayers. What a lovely tribute. Joan will be missed. Beautiful tribute to a very special person! RIP Joan, you will be missed. Joan's daughter has suggested that commemorative loans or donations in memory of her mother should be made through Kiva and the 'Genealogists for Families' project. A beautiful and loving tribute...Prayers for the family and you..
A lovely tribute, thank you. Such sad news. She will certainly be missed. Very sorry to hear of her passing. Blessings on her family and her at this time.